Moto Guzzi has made lots of waves with the upcoming V85 TT, but until now it was something for the future version of you to worry about. They’ve just opened up a website for pre-orders for those of you that want to be the first to get your bike in May. I first saw the V85 in person at the Long Beach International Motorcycle Show. I was so distracted by the bike that I didn’t notice Ari Henning’s photobomb. There’s plenty of information about the model out already – if you’re seriously considering putting your money down then I assume you’ve already seen the first looks from ADVPulse, Asphalt and Rubber, and Ultimate Motorcycling. 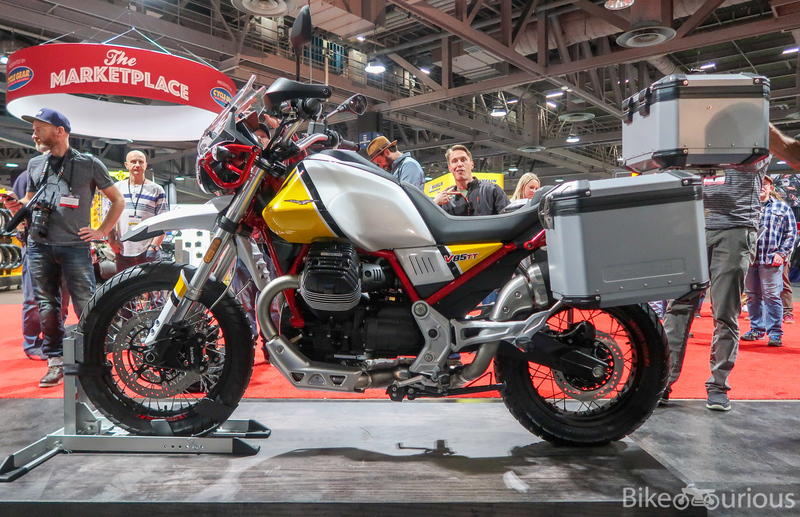 The deposit is $2,000, and Guzzi will reward you with a $250 accessory credit for the trouble of putting your money down early and helping them estimate how many units they should bring to the US. Click here to get more information and put down your deposit!